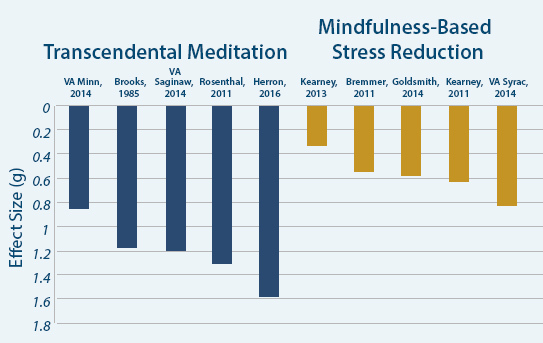 The Transcendental Meditation® (TM) technique and mindfulness meditation techniques are different practices. They produce different physiological results during meditation and different outcomes in activity. 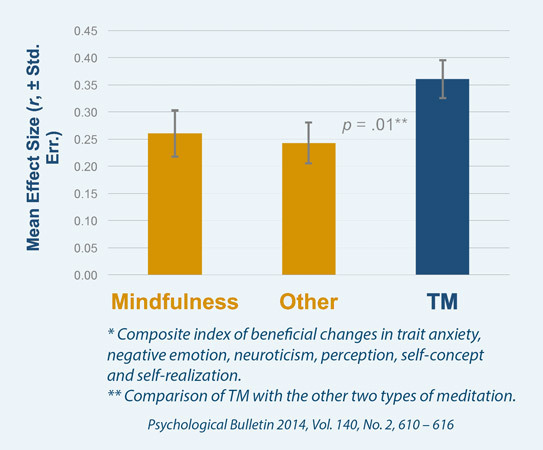 TM® is an effortless form of meditation that operates by transcending thought, whereas mindfulness techniques involve monitoring mental and somatic processes. Mindfulness techniques produce brain waves in the 4-6 cycles per second range (Theta), whereas TM produces brain waves in the 8-10 cycles per second range (Alpha 1). TM also produces global brain coherence as shown by EEG, which mindfulness techniques have not been shown to do. 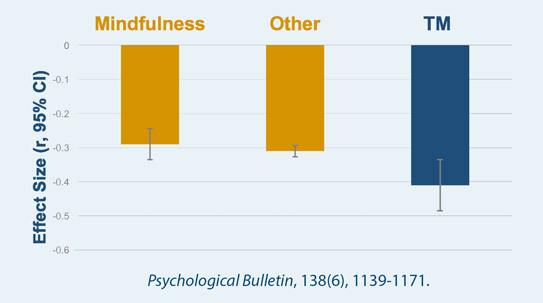 TM appears to produce a deeper level of physiological rest than mindfulness, which may make it more effective for reduction of stress, as suggested by the following research. Copyright © 2019 TM for Veterans. Powered by WordPress. Theme: Ample by ThemeGrill.